Have you heard of the show Jane By Design, yet? 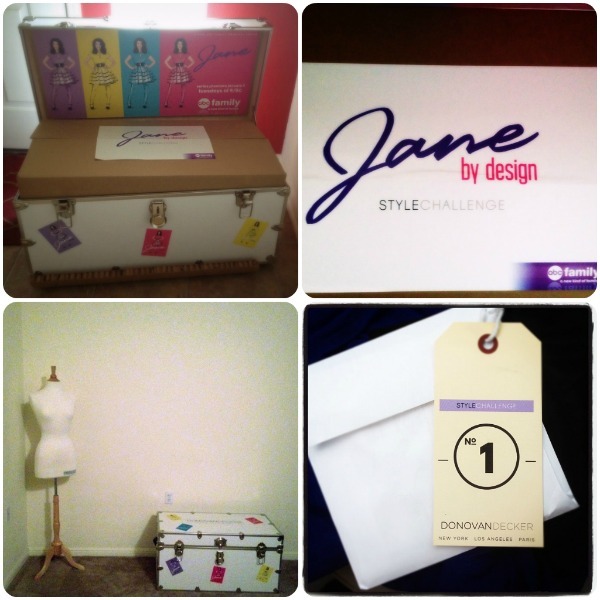 It's going to premiere on ABC Family on January 3rd, and I've been invited to participate in the Jane By Design blogger challenges in the weeks leading up to the series premiere. Sounds like The Devil Wears Prada mixed with Don't Tell Mom the Babysitter's Dead. In other words: sounds adorable and I can't wait to tune in. (Psst... here's a clip to pique your interest). ABC Family reached out to a large number of bloggers (including my friends Tieka and Katy) last week asking if we'd be interested in competing in seven challenges for the chance for our blog to be mentioned on the new show. Regardless of the prize, I'm usually up for a challenge, and I read the fine print and saw that I don't have to go beg for Facebook votes or eat anything weird or sign people up for an email list or anything super annoying like that, so I thought this could be a fun thing. By now you should have received the trunk I sent you and you should be ready to begin the interview process. The blogger we are looking for at Donovan Decker must have a sparkling personality, impressive creativity and the ability to influence the masses. You must also be an expert shopper with a trained eye for what’s new & unique. For this phase of the interview process, take the $50 gift card I sent you and go shopping. When you return, shoot a video of your shopping haul and post it to your own blog. Then show me that you can engage your readers. Tell them to share their own haul videos here and mention the name of your blog. So I'm the idiot (and ex-actress) who thought we were supposed to do our challenge video as if we really were applying for a blog position at this fictitious company Donovan Decker. This means I did this whole video "in character". And according to my research (i.e. 25 minutes spent on YouTube and Twitter), I'm the only idiot who addressed her video to Gray... as if she really wrote me that email and I'm really up for a blog position. [vimeo 33817786 w=600 h=338]Can you believe that coat? And that gown? I'm kinda of still on a shopping high from those finds! Okay, now I say we show Jane By Design that Adored Austin readers and blog friends are thrifty to the max. If you want to shoot and upload a video or photo of your own shopping haul to the Jane By Design Facebook page, please do so. It could be great exposure for your own blog. You can even mention Adored Austin if you want to throw me a bone in this contest (no obligations, though!). I just thought it'd be neat to show that just because we have a budget, we can still find amazing things and fully stretch our dollars by shopping second-hand. 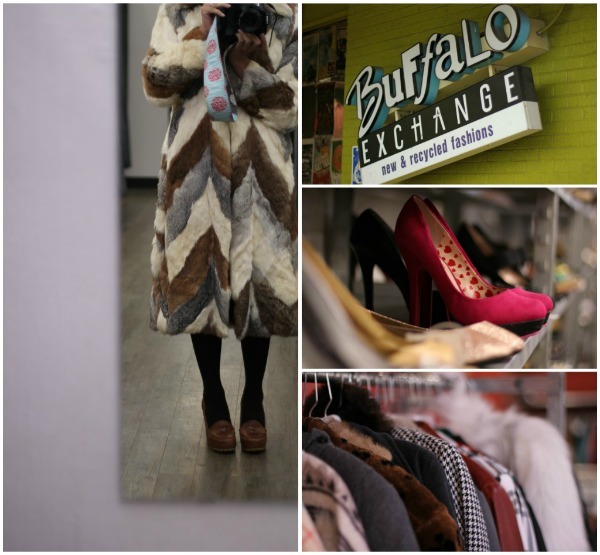 Would someone like Gray Chandler Murray ever shop at a place like Buffalo Exchange? I doubt it. But I do think that someone like Jane would. Stay tuned for the next challenge. I get to test my absurdly terrible drawing skills (Heidi, you're going to love this). It's going to be an unintentional laugh riot, so be sure to check back in with me on Tuesday for part two of the Jane By Design Style Challenge.